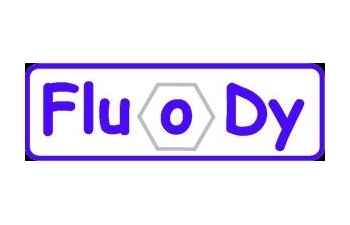 FLUODY is a privately owned company operating in high added value organic synthesis. The company was born in 2008 in the incubator of the university of Turin, 2i3t. At the beginning of year 2012, a brand new laboratory was launched in Villanova Mondovì (CN), Italy. Our chemists have strong expertise in designing and synthesizing organic molecules from lab to kilos scale with particular attention to R&D phase and process development. Fluody developed tailored fluorescent cyanine dyes for Biotechnology in the full visible spectrum from 420 to 750nm. We can design and synthesize fluorescent molecules with specific functionalities and chemical/physical properties to be used as labeling agent for in vivo Optical Imaging and in vitro biotechnological applications. We synthesize organic molecules not easy to find in the market and difficult to prepare. We carry out Research & Development study, Process Development and Optimization of Critical Synthetic Steps.